‘Tis the season to be jolly—and to take advantage of the parking specials we offer during the holiday season. That’s right: After you’re done scarfing down your Thanksgiving feast, it’s time to shift your focus to, you guessed it, holiday shopping. Sure, you could take the easy route and shop for the it gift of the year on Amazon. But let’s be honest: There’s nothing like good ol’ fashioned window shopping, especially in a city as vibrant as Philly. Here’s the scoop: As you scramble to get all of your holiday shopping done, we want parking to be the least of your worries. That’s why, every year between Thanksgiving and New Year’s Day, we offer holiday shoppers some hard-to-beat parking options. 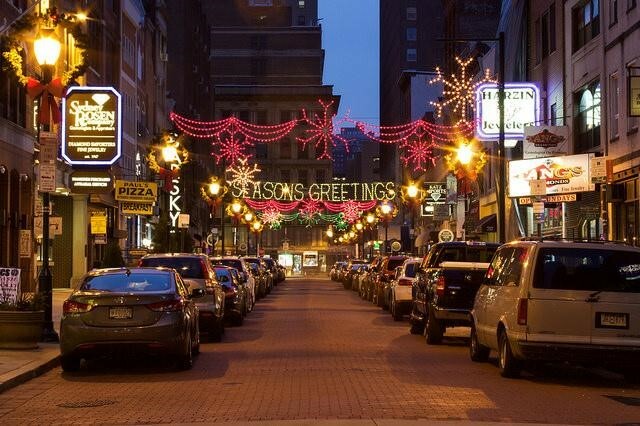 Take a look below and while you’re at it, check out Visit Philly’s 15 Must See Holiday Attractions. For a flat-rate of only $8 on Saturdays, you can park at the following PPA garages between 11 a.m. and 12 midnight. Note: To receive the $8 flat-rate, please visit the garage management office for your discount validation ticket. And now the big one: On Saturdays after 11 a.m., metered/kiosk parking will be free city-wide up until January 1, 2019. Keep in mind: Time limits on residential parking blocks will still be enforced and all other parking regulations will remain in effect. If you have any questions or need any guidance during the holiday season, reach out to us on Twitter or Facebook. Happy holidays!